Well, I’m humming along with my de-cluttering efforts. I took a break from doing drawers and headed outside of my bedroom to deal with my overstuffed bar. I have a problem with collecting too many glasses. 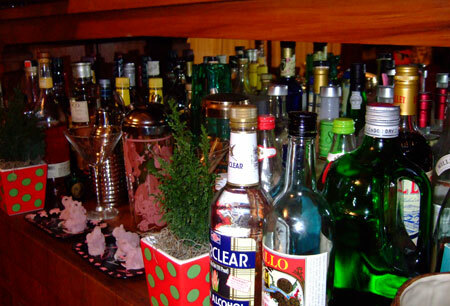 Perhaps because my bar looks like this. Er… Yeah… I’m really just being hospitable. Really, I don’t have a drinking problem…Seriously! 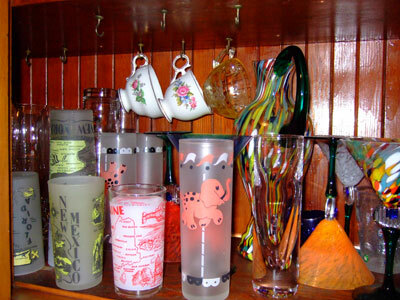 Anyway, I’m not willing to part with my sweet collection of vintage state glasses or my collection of vintage pink elephant glasses. And, yeah, I’m keeping the murano glass cocktail set too. 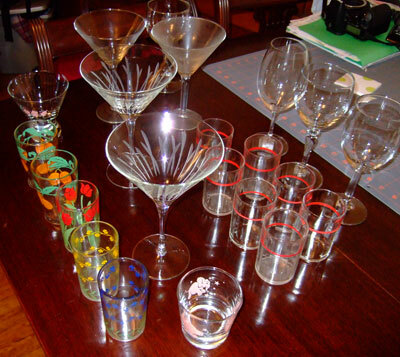 But I’ll part with these too big martini glasses and misc. wine glasses that don’t have a match. And although it’s kinda tough, these sweet little juice glasses are going too. It doesn’t make sense to hold on to glasses I haven’t used in four years or so, right? Hopefully someone else can use them and enjoy them as much as I did at one time. If anyone in the Bay Area wants them, just ping me and they are yours! 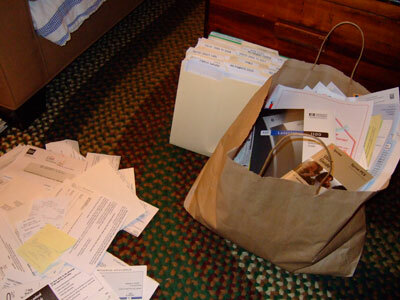 OH, and I did do quite a bit of filing. Like probably two years worth. Seriously. I swear, I do have a more intriguing life than to blog about this, but getting rid of clutter is so wonderfully cathartic and a huge undertaking for me–even if it is just one day at a time. I can’t tell you how much better I feel every time I deal with all of this. 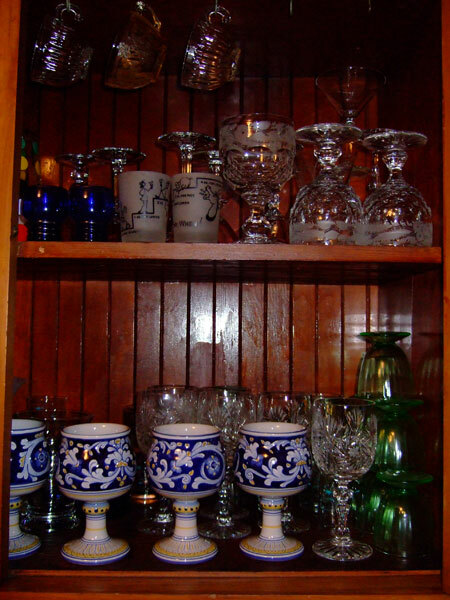 Every week I make more room –even just by removing these two dozen glasses helps–and get more stuff out of my house that I don’t use so I can breathe deeper.